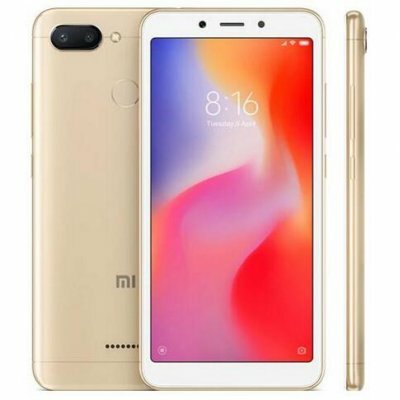 Successfully Added Xiaomi Redmi 6 Global Version 3GB RAM 64GB ROM 5.45 Inch Full Screen Dual Cameras Smart Phone Gold 【Coupon:EAS02】 to your Shopping Cart. AI Dual Camera, Small Screen, High Performance. Helio P22 Octa Core CPU, 5.45'' Full Screen, Back Elegant Arc Design. AI Portrait Mode + AI Beauty, Main Camera 1.25μm Large Pixels. Perfect Screen Size, Easy to Hold It with Single Hand. This smart phone is equipped with 80.5% high screen ratio, gives you a clearer and more comfortable visual experience. Rounded corner screen design, looks fashionable, rounded, and elegant, which will definitely makes you look stylish with it. The perfect balance of performance and power consumption.12nm MTK Helio P22 Octa Core CPU, Up to 2.0 Ghz, which totally and significantly improves the performance. Smooth running large scale online games, no worry about losing frames. With MIUI 9, helps the cellphone smooth and fast. Comes with translation function for more convenience in your life. Built-in exchange rate conversion function, you can know how to exchange between currencies right away! Calorie estimation function,so no more guilt after a good meal! You can count the calorie before every meal so that you will not eat too much. Even if you eat a bit more, see the calorie and you can exercise accordingly. And all the other features that helps you life more convenient and wonderful! With AI voice assistant, you can operate your cellphone through a series of sound commands, easy for you to finish complex operation.